One of the interesting things that comes with a 20 year pre-PhD career is experience in areas that most academics just don’t get. In my case, that was technology and project management. While I made use of both skill sets, my last post made some suggestions on the technology side. 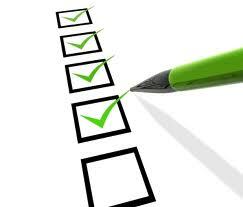 So today I will be looking at some of the project management aspects. Your research is a project, or rather a series of projects within a larger program called your research agenda. The first big project is your dissertation, but nearly every paper, conference presentation and book/chapter after that qualifies. It therefore pays to learn early some of the basic principles of managing such a project. 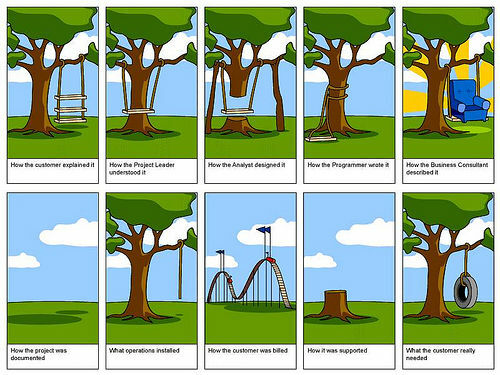 Note: I do NOT advise taking formal project management training. That training is intended for a much more complex environment than most researchers face. If you end up running a lab somewhere you’ll need to learn those skills (or more likely hire a project manager to do the work for you), but early in your career you will be mostly concerned with yourself and maybe a couple of others. Full-scale project management is too administration-heavy for that environment. However there are some principles you can and should borrow. That’s what I’m going to talk about. 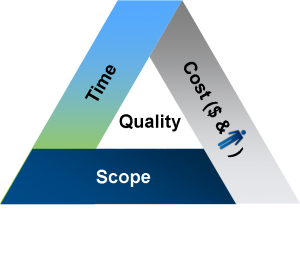 If there is any single project management concept that you should learn, it’s the triple constraint. It goes like this. You can control the SCOPE of your project. You do this when you define the research question you are planning to answer. For this reason, a person introduced me to the concept early on of the LPU: The Least Publishable Unit. You should choose projects that contain sufficient new ideas to get published, but NOT put all your great ideas into one paper. When people ask me how I got through my dissertation so quickly I point to this idea. There were a LOT more questions I could have asked, but I tightly controlled the scope of the project in order to get it done. Scope ties to TIME. The bigger the scope, the more time it is likely to take. And TIME ties to COST, both in terms of additional time at a lower salary to the cost of lost opportunities while you work on the old stuff. Here’s the thing about the triple constraint. You can flex one leg of the triangle, but when you do, you need to change the other two accordingly. The three are still joined at the corners, and something has to give. My chair announced he was taking a year-long sabbatical in Spain (lucky dog) and that, therefore, I needed to finish before he left. TIME was constrained. Therefore I strictly monitored the SCOPE of my project and invested more MONEY by paying people to do certain things for me (like editing and delivering meals) in order for me to get the project done in that time frame. I kept a tight rein on SCOPE and allowed it to COST more in order to meet the TIME constraint. A colleague got to their proposal review and had their committee heap a bunch of additional stuff on to the scope of the project. (In their defense, she will be writing on this data for a decade and got some great stuff.) She didn’t have a lot of money to spend, so in her case she cut out everything else in her life to finish the project. She put in more TIME to make up for the increased SCOPE. One of the dangers of the triple constraint in academic circles is the COST issue. We tend not to see it clearly. All too many PhD students take a very long time to finish their dissertations due to massive scopes without any awareness of what that time is costing them. The tuition cost is easily quantified, but few look at the cost of continuing on as a graduate assistant rather than getting a full-time job. Early career faculty see six years to tenure review as a very long time when, in fact, with academic publishing on a stone-age schedule, it is actually quite short. And this is before we get to what economists call the Opportunity Cost. What COULD you have been doing/making (now and for the rest of your career) if you were done now? One of the biggest pitfalls for academics is Scope Creep. We ALWAYS have more questions, more ideas, more literature to read, etc. I got stalled for about a month on my literature review; there were so many interesting things to read, most of which were only peripherally related to my hypothesis. Then I almost did it again with methodology books/articles. It’s in our nature to be curious, but that makes us especially at risk. 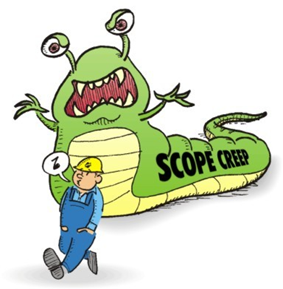 You have two protections against scope creep. First, tightly define your research question for the project at hand and stick to it. If what you are reading/asking doesn’t apply to that question, set it aside for now. Second, keep a notebook of ideas to explore and things you want to read. This is where you place those things not related to your current project but that could lead you in potentially interesting directions in the future. Plan time between major project to review that material. Your Nobel Prize may start out in that notebook, so it’s worth going back to regularly. For more on this topic go back and read my post on Cal Newport’s research framework. The first stage of planning is determining which of those constraints represent hard limits. Think broadly here. Whether you are heading toward graduation or tenure review, there is always a deadline. What defines that deadline in terms of graduation might be money (your assistant-ship runs out at the end of year four) or an externally imposed deadline (tenure at year six or your contract doesn’t get renewed). Regardless, figure out what it is and then back into what your scope needs to be in order to meet your objective. Once you have that objective defined, you can now lay out how much time and cost will be involved in achieving it, as well as the minimum scope of the projects. PhDs very rarely do only the minimum, but if you know what that minimum you can be sure to meet it while going above and beyond in your core areas of interest. I would not advise making up a gantt chart, detailed work breakdown structure or any comparable formal project management tool. Since much of the work of an academic is solitary or in small groups, using the agile project management ideal of focusing on communication is usually your best bet. However that is a big huge topic for another day. If you have questions about managing your research projects and agenda, feel free to leave a comment or ask/follow me on twitter: @protoscholar. Ahh, you are speaking my language here! As a project manager in learning design (hey, something has to pay the bills!! ), this is great to hear. I do maintain a GANTT chart, and even bought a project management application to manage my timelines. Can you tell I am process-focused? I do hope to make progress following your lead . . .